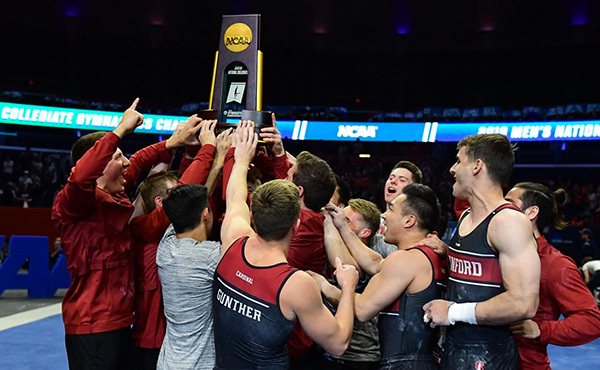 CHICAGO, April 20, 2018 – The University of Oklahoma posted the highest score today after two national qualifying sessions at the NCAA Men's Gymnastics Championships at UIC Pavillion on the campus of University of Illinois at Chicago. 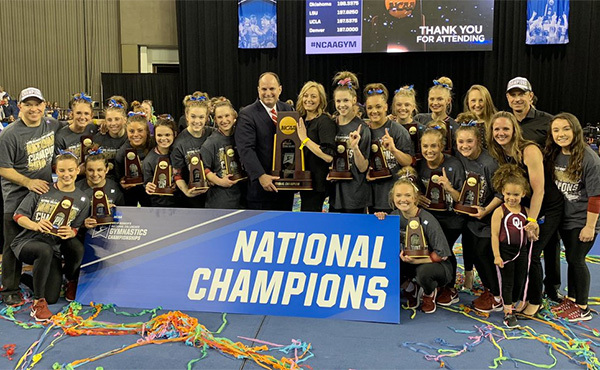 The Sooners, who are the three-time defending champions, advanced to tomorrow’s team final as the No. 1 seed. 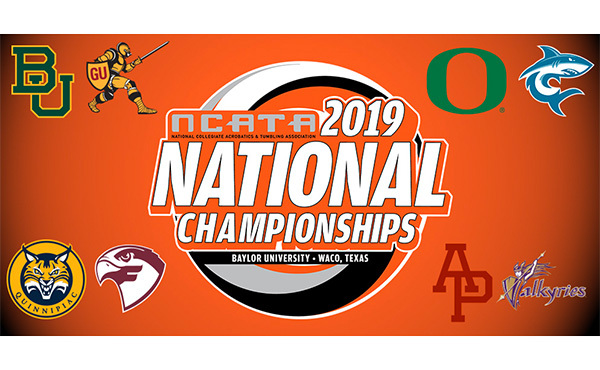 The men’s national collegiate champions for team, all-around and individual events will be determined in tomorrow’s finals, starting at 6 p.m. CT. The six schools competing in the finals are the University of Illinois, Pennsylvania State University, Stanford University, University of Minnesota and Oklahoma. 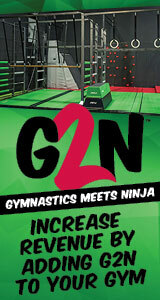 Fans can watch all the action from tomorrow’s competition live online at NCAA.com. In the second qualifying session, Oklahoma earned the highest score of the day with a 410.991. 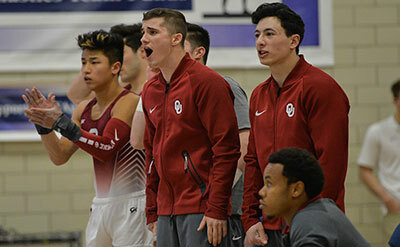 Two-time U.S. champion and 2017 World floor bronze medalist Yul Moldauer competed in three events for the Sooners, earning marks of 13.900, pommel horse; 14.700, still rings; and 14.100, parallel bars. 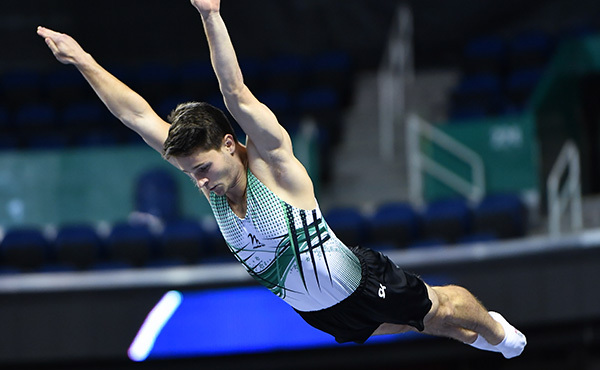 Moldauer, a top contender for the all-around title, is expected to compete in all six events for OU in tomorrow’s final. Illinois took the second spot with a 408.824, and Penn State garnered the last qualifying spot with a team score of 404.790. Ohio State University, University of Iowa and the University of California at Berkeley round out the field with scores of 403.959, 400.451 and 395.991, respectively. Ohio State’s Sean Melton posted the day’s top all-around score with an 82.633, followed by Penn State’s Sam Zakutney (81.331) and Ohio State’s Alec Yoder (81.064). The scores from qualifying sessions do not carry over to tomorrow’s finals. 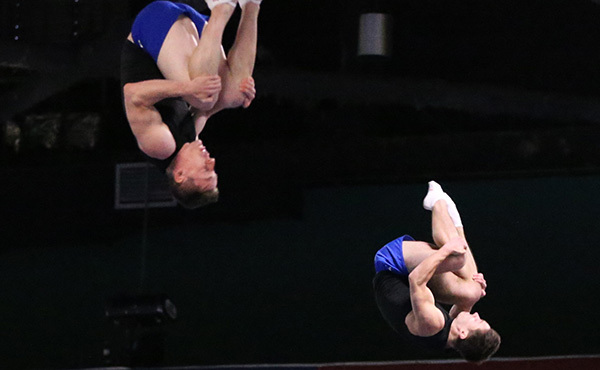 The top three squads from each of the two semifinal sessions qualified for the team final. 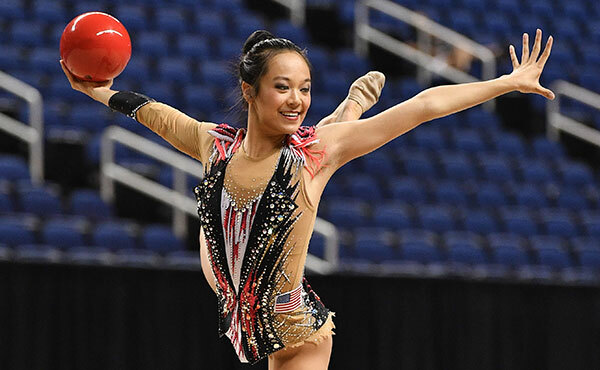 In addition to the top three teams, the top three all-around competitors and the top three individuals for each event, who are not members of one of the qualifying teams from each qualifying session, will compete for individual titles.